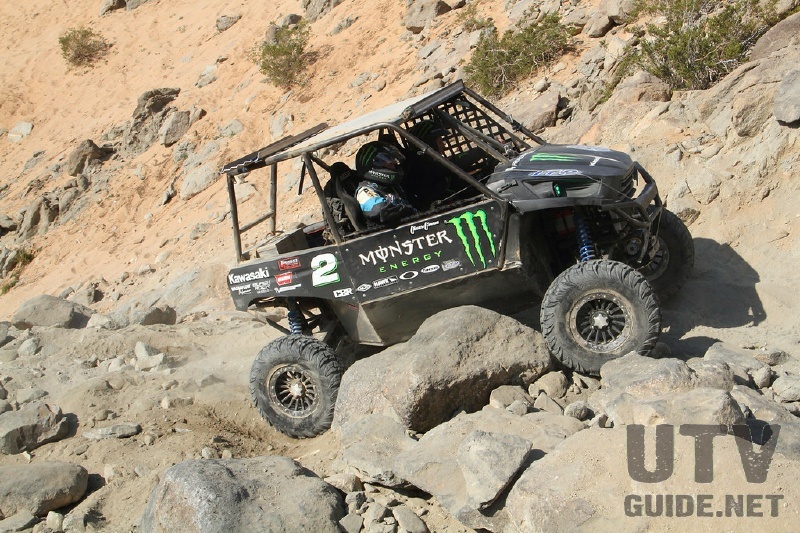 The crew at Hammer King Productions added qualifying for UTVs at this year’s King of the Hammers UTV race. 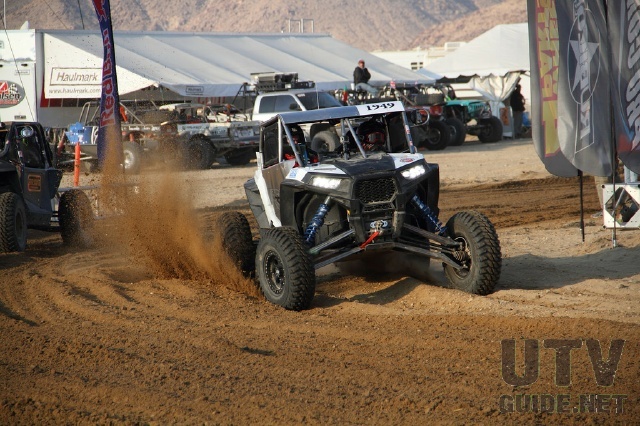 Tuesday morning 24 pro UTV racers would stage in Hammer Town. The iconic Red Bull arch would span the starting line. A 2 mile mini hammers course was marked in the foothills just outside of town. The course would encompass many aspects of the 120 mile race course. 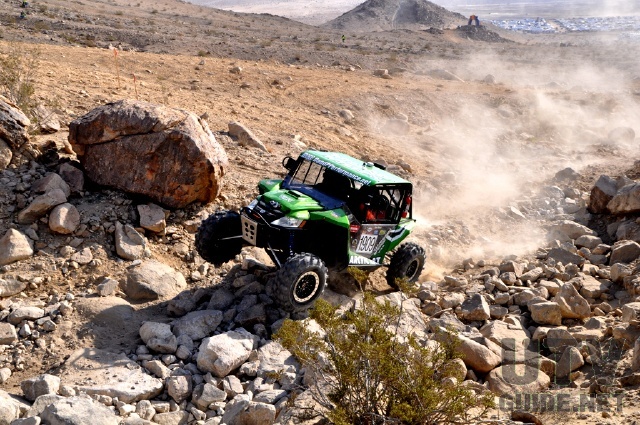 Everything from short course style infield, rocks, whoops, jumps and hill climbs. The idea was to create a course that would test the cars and driver without destroying them. Being first off the line for Wednesday’s race has its advantages. 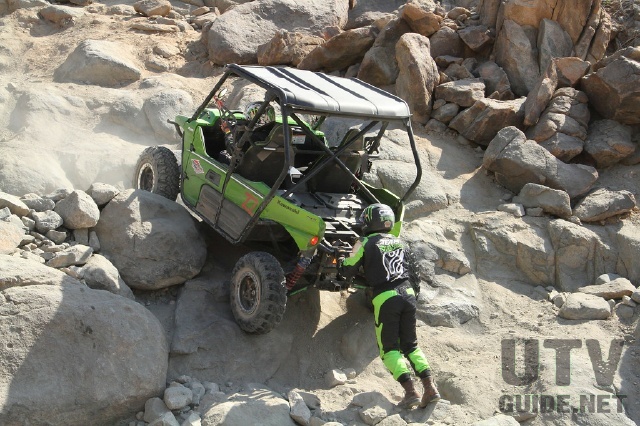 Bottle-necks can form in the rock sections and working your way from the back is a daunting task. 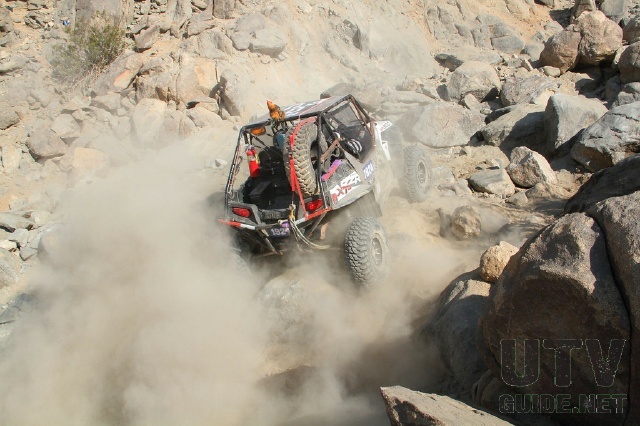 It’s a 49 mile sprint through the desert to the first obstacle. Being first here is key to getting out front. 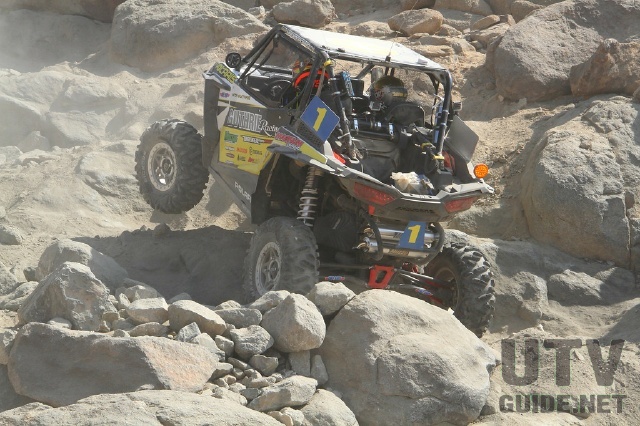 Lone Star Racing’s Brandon Sims in his 2014 XP 1000 took the top spot, Second place would be Dean Bulloch in his Wildcat 1000 and the XP 1000 of 4-time KOH champ Mitch Guthrie in third. 8:00am Wednesday morning 36 UTVs paired up into 18 rows. Top qualifier Brandon Sims and number two Dean Bulloch would go first. The green flag would drop for the rest of the field two at a time, 30 seconds apart. By Race mile 15 the battle was on. Blake Van de Loo would fly past everyone. His Walker Evans shocks were dialed and he was making up time after starting 10th. Unfortunately Blake caught some bad luck and clipped a bush (not Brian Bush) that took out the radiator. But in true Jagged X fashion a spare radiator was quickly swapped into the car. The time lost would be something Blake and Jon would battle all day. RM49 known as the Sand Hill, more of a sandy notch in a mountain with huge boulders just under the sand waiting to grab you. Guthrie would be the first to attempt the Sand Hill. 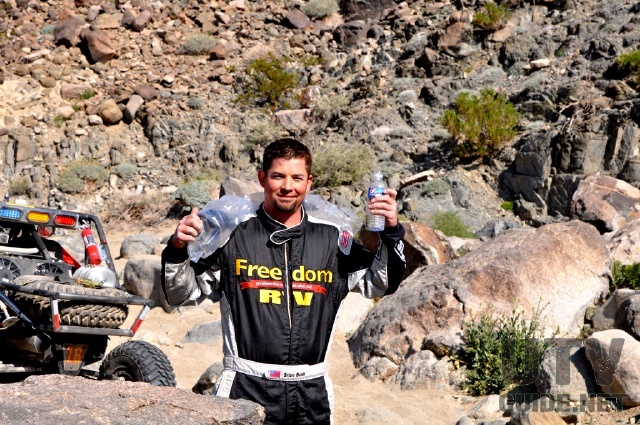 His 3rd place qualifying spot and his mad dash through the desert put him in a very comfortable spot. Guthrie made the hill look easy. 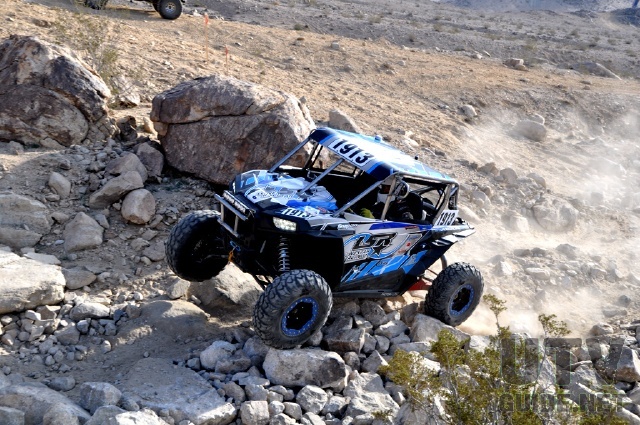 The 4-time KOH champ was already off to a good lead. Sims and Bullock only minutes later would split at the base. Bulloch opted for the sure thing option line, and in true Sims fashion he would roll the dice and shoot for the sand hill. Many competitors opted for the alternate line. Guthrie pitted at the end of lap 1 to make some repairs. Guthrie’s tie rod bolt had worked loose but they could not find the right tool to tighten it. The crew tightened it by hand and soaked it with red loctite. 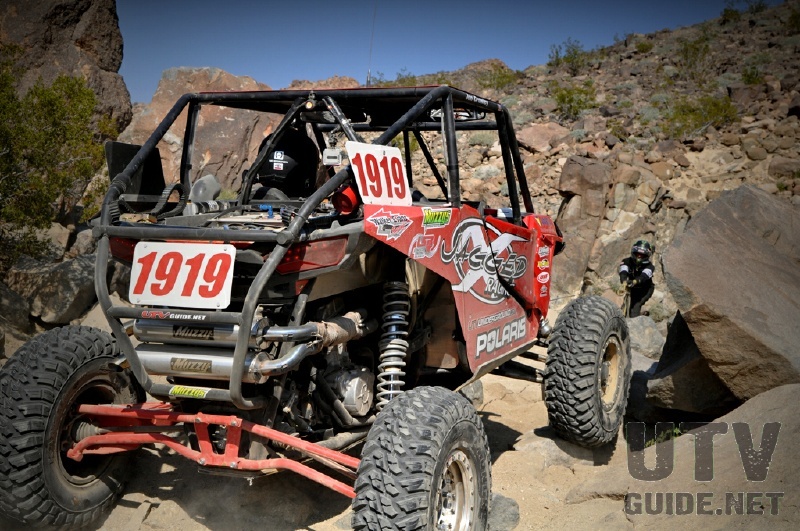 For the next 22 miles the teams would battle in the desert hoping to pick up spots before getting to Aftershock. Aftershock is the first major rock obstacle, and it would claim many. 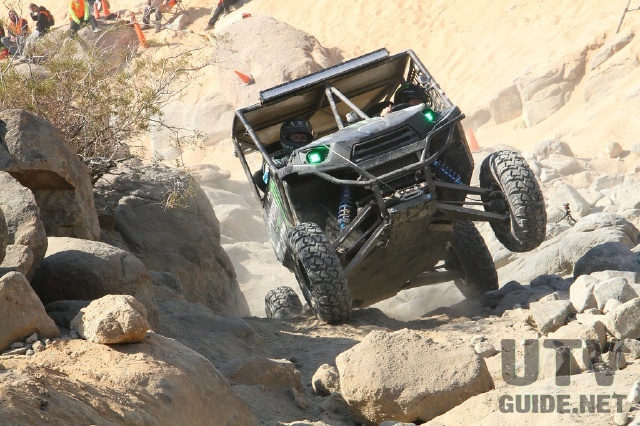 The Brave Motorsports Wildcat X would break a driveshaft trying to one shot the last obstacle at the top. 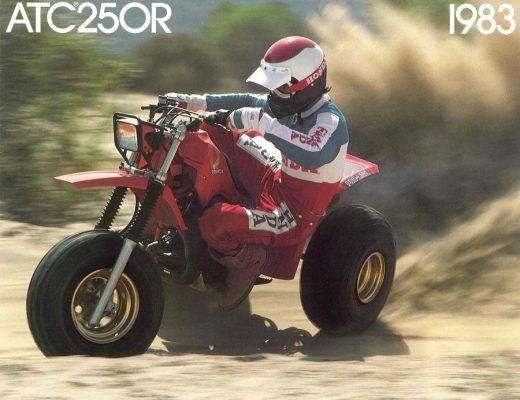 With only front wheel drive they would be forced to winch out and drive 4 miles to the pits. Brain Bush would fall victim to a mechanical failure at the bottom of Aftershock. 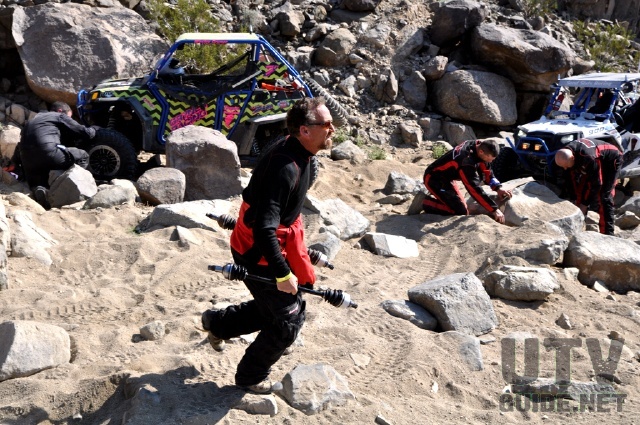 He hiked 4 miles to the pit and back to get an axle so he could drive his car out backwards. Enochs, aka Team Nasty, were first up Aftershock. Sims made a slight error and put his XP 1000 on the side. Winching himself back onto his wheels cost him precious time. 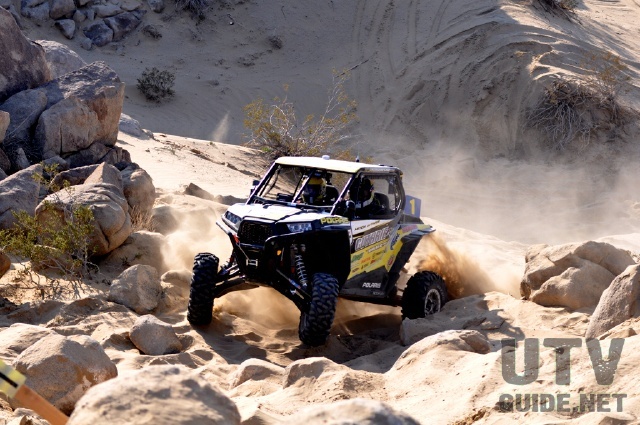 Guthrie, Casey Currie and Duckworth were climbing Aftershock chasing the leaders. Casey Currie and Cody Currie would both come through Aftershock just blazing. 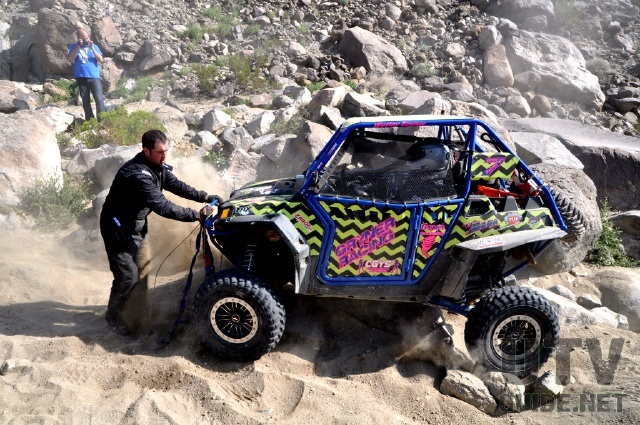 The Currie brothers in their Kawasaki Teryx’s made quick work of the rocks. They were less than 1 minute apart and pushing hard. A minor trail plug had formed in Hwy 19/20 with the leaders hung up. Guthrie tried winching up and around them for the pass, but Sims managed to get going before he could complete the pass. Team Nasty had a broken axle and waived Guthrie by. Sims would lead Guthrie up Chocolate Thunder and into Wrecking ball. Once in Wrecking Ball Guthrie cranked it up a bit. If there was a time to strike it was now. While Sims was winching up a line on the left, Guthrie put the pass on Sims to the right and never looked back. For the next 27 miles Guthrie would push hard to hold the lead. 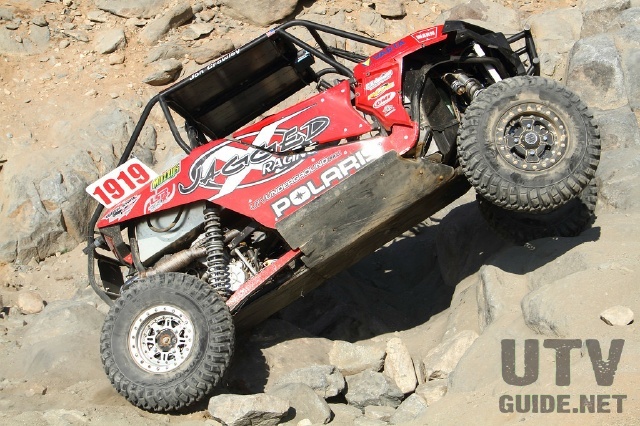 Guthrie would take home his 5th KOH win at 1:00pm. 3 hours before the finish line closed. 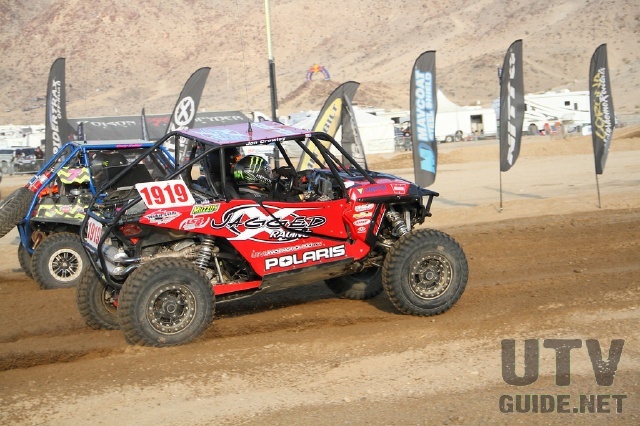 Sims in 2nd and Casey Currie would round out the Pro UTV podium with a solid third place finish. 2014 would see a total of 10 finishers. 7 Pro and 3 Sportsman. 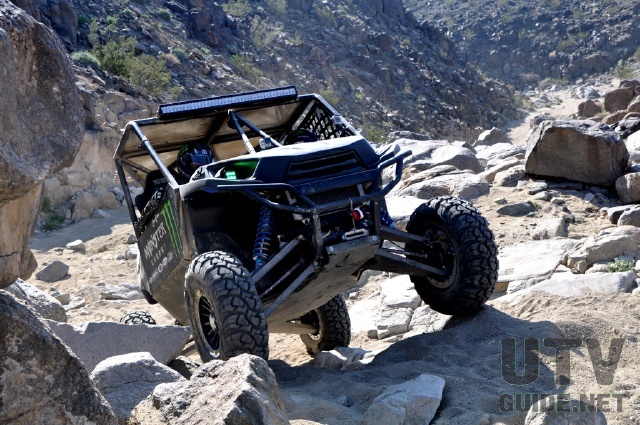 At the pace UTV’s are progressing who knows what’s in store for 2015. 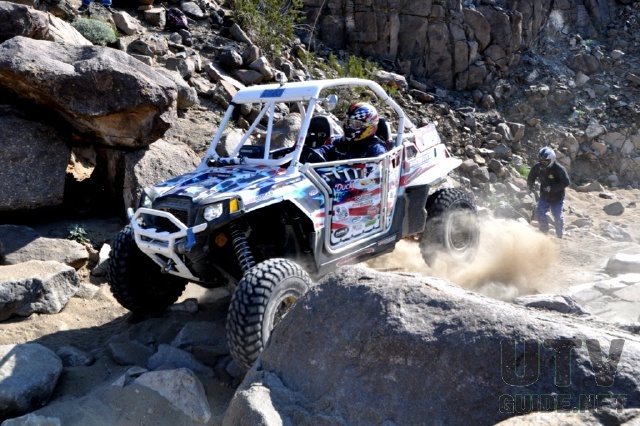 Maybe a UTV will race on Friday with the big boys. 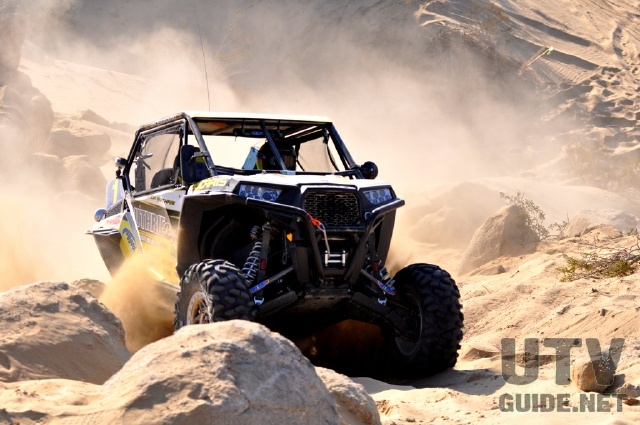 Are Sport UTVs destined to go the way of the Honda ATC?